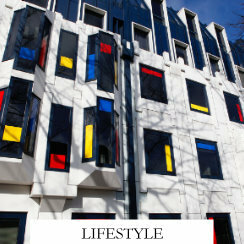 The MPabilion is an important project linked to architecture in Melbourne, Australia. 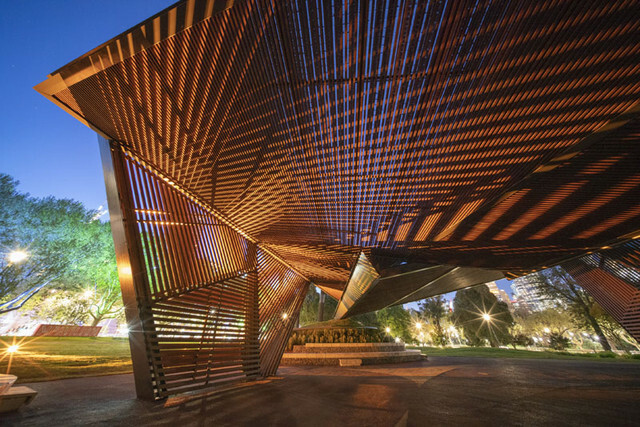 Every year an architect with great international recognition creates a temporary pavilion in the Queen Victoria gardens. 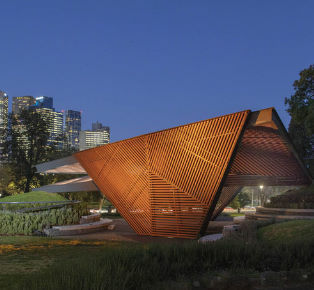 The pavilion becomes during its 4 months of life in space that welcomes all kinds of cultural activities, from talks or workshops to performances or installations.Something very interesting is that, although the project is temporary, then it is donated to the city and moved to a new permanent location, it is a way for the project to be more sustainable and generate architectural wealth in Melbourne. 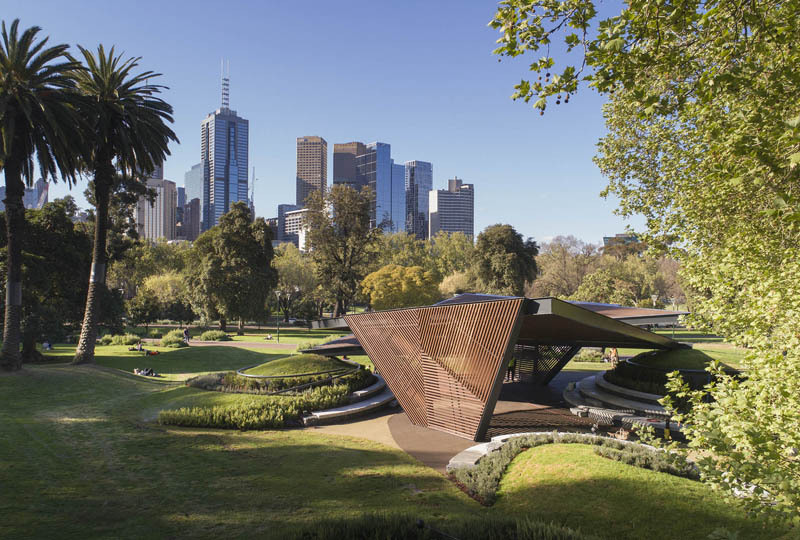 The MPavilion 2018, has been designed by the Barcelona architect Carme Pinós, from Estudio Carme Pinós, and was inaugurated on October 8 at the Queen Victoria Gardens in Melbourne with the presence of the architect, Naomi Milgrom and the main authorities local. 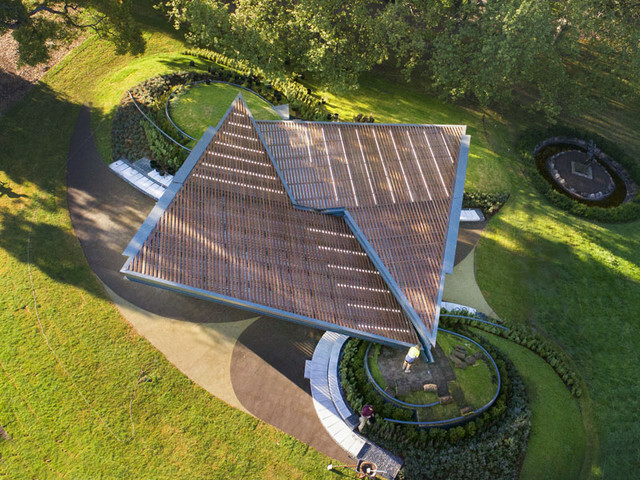 MPavilion by Carme Pinós becomes the first public works work of a Spanish architect in Australia. 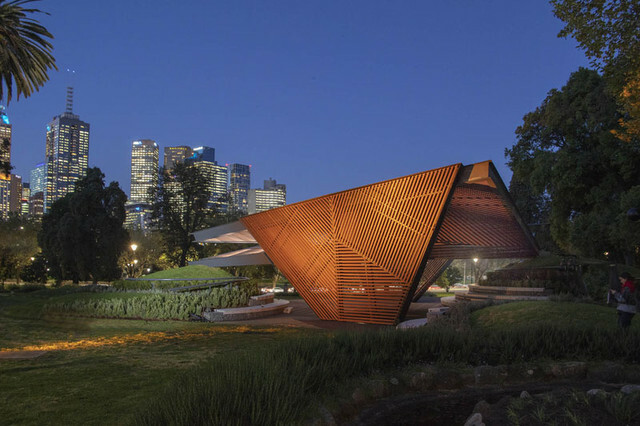 Conceived and promoted by the Naomi Milgrom Foundation, the MPavilion 2018 is the fifth in a series of author architectural pavilions offered to the city of Melbourne. 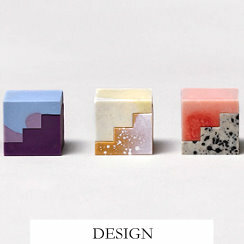 The Naomi Milgrom Foundation was founded in 2014 and its purpose is to enrich Australian cultural life by attracting new audiences with art, design and architecture. 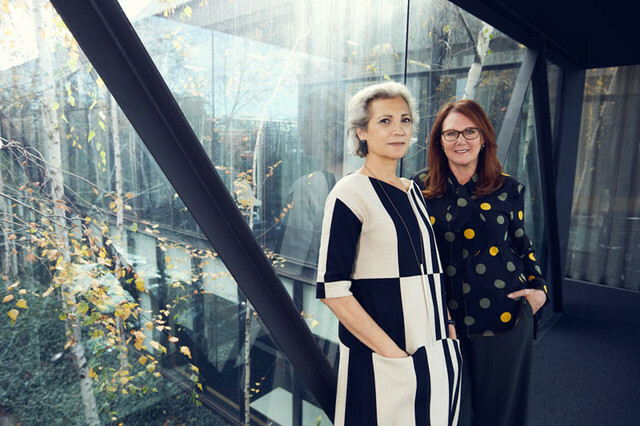 The Foundation, directed by Naomi Milgrom AO, has become a model for public-private collaboration, allowing new projects with a look at public spaces, industry and education. 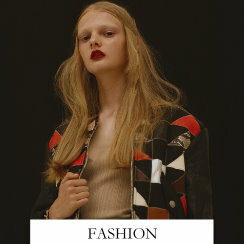 The Foundation defends multidisciplinary projects that explore the close connections of design with contemporary culture. MPavilion is the central project of the Foundation. 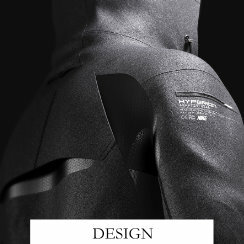 Meet the government and companies and private sectors to support the project. 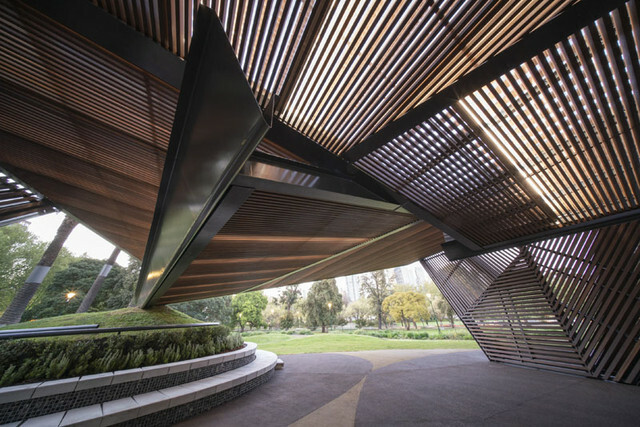 MPavilion is a civic space and a cultural laboratory that organizes a spring and summer program of free cultural events.